What's up Stewie ? Haven't heard from you since you told me to give it up. Meant to ask .... give what up, exactly? Nothing constructive to add to the thread? Cat got your tongue? or is it half way doon the GIWLTFs throat? What the deuce, Stewie!!!!!???? You must be very happy wi' yer team beating Peasy Reserves......or is it you who has a date wi the GIWLTF? 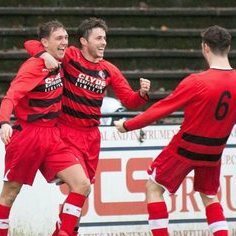 Well done tae Mr Prez and his boys ....Ashfield are always doughty opponents and they've given us a few spankings recently. The Pace must have been very good today. Taxi, I have only been on to speak to my friends. Who is Nizzy? Is he a mod? Hi Pie.. the moderator has had complaints about my posts, so I will only send private messages from now on. Ramit. I will only be psoting to friends. The Mod has told me about complaints about what I have posted. Larky. I will only be posting private messages from now on. The Mod had had complaints about my posts...??? ?